It’s sweater weather! The cool weather of fall is upon us, and we will soon be settling into the holiday season. Things tend to start happening quickly after Halloween. Thanksgiving is here before we know it. Then it’s Christmas, Hanukkah, Kwanzaa, and New Year’s Eve! So, it’s time to start thinking about creating holiday traditions that will make memories for your family for many years to come. Bassett Furniture can help! Pro Tip: When ordering furniture for the holidays, be sure to place your order well in advance. Some items, especially custom orders, may take up to 4–6 weeks. ‘Tis the season to come together and celebrate. Gathering around a dining room table for a rich family meal and snuggling up on cozy furniture for connections and conversations are what helps to bind families together. Your family traditions may be similar to others, or you may have created unique holiday traditions for your family get togethers. You may have traditions surrounding holiday meals, gift giving and opening, special foods, a regular family trip, places to visit, shopping, and more. The possibilities are endless. There are no set rules or guidelines on how to create family traditions. Sometimes the best traditions are serendipitous… they happen completely by accident and take on a life of their own. If you want to start a family tradition or if you would like to add to the traditions you already have, here is a list of fun family holiday traditions to get you started. You can “steal” these ideas—we promise, we won’t tell—or you can add your own twist. The only important thing is that you do what feels right for your family and what makes others feel both included and loved. Arrange for a family portrait seated in your brand-new living room. Go caroling door to door. Recall family stories while gathered on the sofa. Add a special ornament to the tree each year. Bake treats for your neighbors. Decorate together. Basset has many festive holiday pillows! Exchange one gift on Christmas Eve. Learn about another cultural holiday tradition. Visit a holiday light display. Start a book exchange. We’ve got the perfect bookshelf for your special books! Donate new toys to children in need. Donate the old to make way for the new. Host a holiday party in your new Bassett dining room! Have a pajama day with hot cocoa. Make a special holiday meal. Adopt a family to support. Find a simple way to pay it forward. Write a family holiday letter. Hunt for a tree together. Read a book together while relaxing on your new sectional. Include a tradition for your loving fur ball. Plan an annual family trip. Create a family holiday photo album or booklet. While spending time together as a family is most important, you may want to consider the space that you will spend your time in. After all, the comfier the space, the longer people will stay. If your furniture needs a bit of an upgrade, you may want to consider a new living room suite or a set of cushioned dining room chairs. Instead of having one big gathering space, you might want to add a few small accent chair seating areas. Two closely placed comfortable chairs with a small table and a decorative lamp in between can create an intimate conversation spot. Think about spaces in your living room, den, an entry or hallway that might create an impromptu conversation spot between mother and daughter, father and son, sisters and brothers, etc. Changing the physical and social environment can have a positive influence on your guests. When you increase the comfort level at the dining room table, people are more jovial. And when you provide a comfortable place to relax after that big meal, you might see a bit more sharing going on. Just think of all the relationships you’ll be fostering! Traditions often have their roots in smaller things. 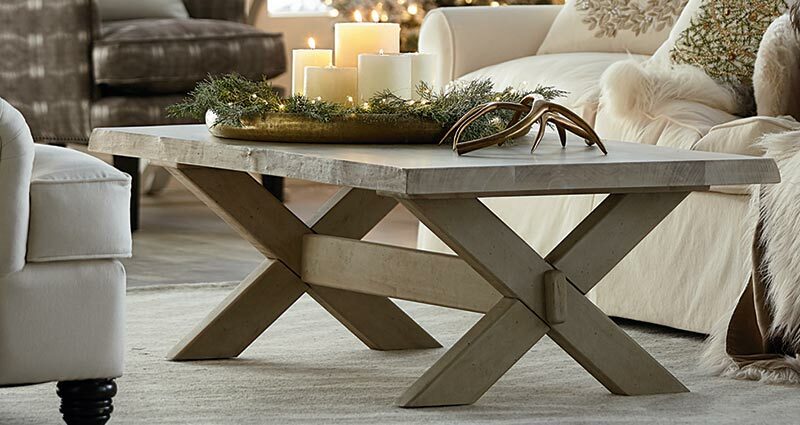 And when you take the time to create intimate seating and conversation areas, these high-quality furniture pieces will become heirlooms to pass down from one generation to the next. The same goes for those cozy, cushioned dining room chairs where all of your holiday gatherings have taken place. After all, who could ever part with the chairs where two people connected, had a breakthrough conversation or even fell in love? 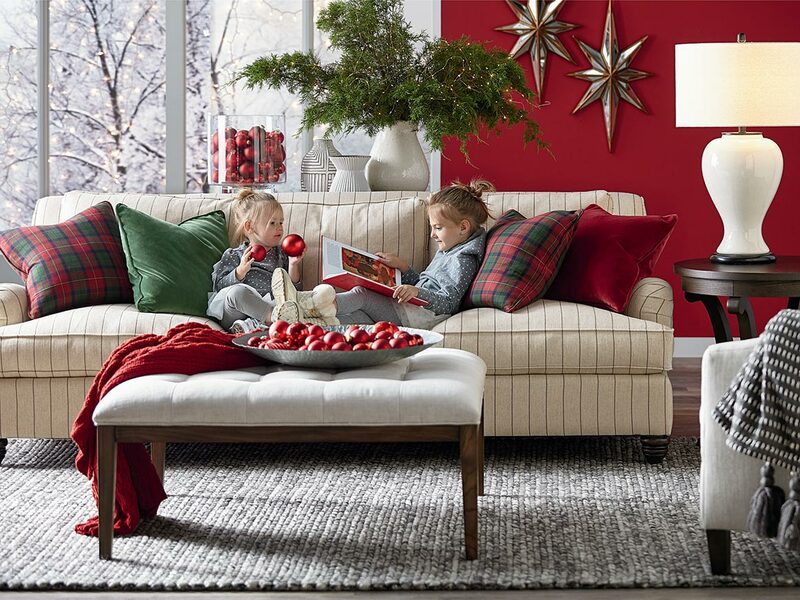 Let Bassett help you set your holiday memories in motion! Call us today for your one-on-one consultation!